Since he joined the Department of Mechanical and Materials Engineering in 1996, James Menart, Ph.D., has been a long-standing leader in teaching, scholarship, and service. As a teacher, Menart is widely regarded among the best in the College of Engineering and Computer Science. He is the father of the Renewable and Clean Energy Engineering Master’s program, the first of its kind in Ohio. In addition, he has devoted his efforts to further develop Wright State’s engineering laboratories and courses. Menart has generated more than $3 million in externally funded research programs in areas of critical interest to the United States Air Force, the state of Ohio, and the nation. 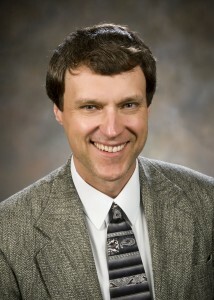 His scholarship includes nearly 100 published papers and more than 50 technical presentations, the majority of which he co-wrote with Wright State students. In the area of service, Menart has served on dozens of committees at the department, college, and university levels. This includes his role as chair on five college-level committees and 10 department-level committees. Outside the university, he serves as a reviewer for multiple archival journals and is active in professional conferences and organizations. “The leadership Dr. Menart has placed Wright State University at the forefront of engineering education in clean and renewable energy, which is a critical area for the global competitiveness of our great nation,” Klingbeil said.